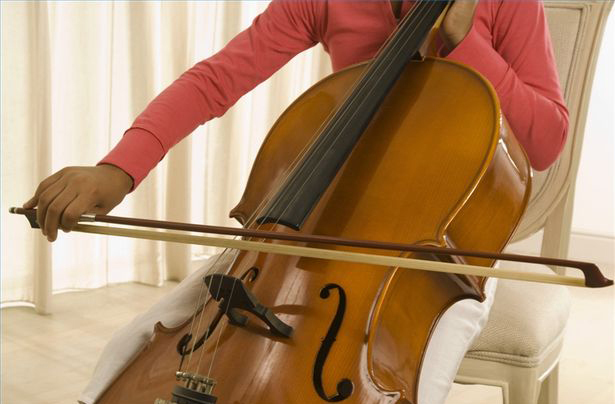 The GSM is proud to offer a cello program of international standards. Our teachers are highly trained and have large experience in performance as well as teaching. We focus our teaching on the student’s needs and interest, and are versatile enough to accommodate ages 4 to 94. Early Childhood – We recommend starting instrumental lessons at age 4, but some children highly incentivized at home and with unusual maturity for their age may be ready at 3. The GSM uses the Suzuki Method for students this age unless the parents request the use of traditional system, which we also can use. We introduce music reading as soon as we notice the student has developed a basic facility to play the instrument and can focus his/her attention on the sheet music without damaging the basic technique (posture, tone quality, intonation, etc.). Grades 4 to 12 students – Many schools in the area start their orchestra program in 4th grade. When we teach students who are or want to be part of one of these orchestras we teach traditional system from the beginning or switch to it if the student was taking Suzuki Method. Adults – The GSM is proud to constantly have adults who come for lessons. Some of them took lessons early in their lives, other want to start from scratch. Many of them end up joining amateurs’ orchestras or small ensembles in churches or synagogues. Click here to download registration forms. We encourage students to join group classes as soon as they have the basic technique (holding the instrument, bow and left hand position and sound production). The group classes are not a substitute for private lessons, they have a different educational purpose. We encourage students to join one of our chamber music groups as soon as they can keep playing their own part while listening to others and taking decisions about what they hear. Chamber music is definitively one of the most comprehensive music experiences and brings the opportunity to learn areas of music that neither private lessons nor orchestra can provide. It develops teamwork, leadership and musicianship while fostering the need for an improved personal technique. The ability to play as you read (sight-reading) is not only essential for professional musicians but also one of the basic needs to enjoy paying music as an amateur. The GSM teaches sight-reading to all our students from intermediate level up. Preparing for auditions to enter in orchestras require a different approach than playing solos. The GSM teachers have large experience playing in orchestras and taking these auditions, so they are highly qualified to prepare students for this task. The GSM is proud to accommodate students with special needs. Every year we have several students with some type of learning disabilities (ADD, Ausberger, moderate levels of down syndrome, even moderate levels of audition). We strongly believe that music helps those students to overcome their difficulties and bring the possibility to learn how to play an instrument. The GSM brings high level of music teaching to local schools, park districts and community centers. General music classes and instrumental lessons and groups are taught through our Outreach programs. The GSM’s students are frequently requested to perform in public events for libraries, park districts, chamber of commences, or even weddings and receptions. We strongly encourage our students to play in real events unknown audiences; it is not only a very rewarding price for all their hard work practicing, but also an excellent learning opportunity. Copyright © 2019 Gasse School of Music. All rights reserved.